Girls’ Night: Fancy Slumber Party Foods! – Eat, Drink, and Go! Last night the food was fancy, but the dress was not. Pajamas, in fact. But no expense spared on our delicious spread! 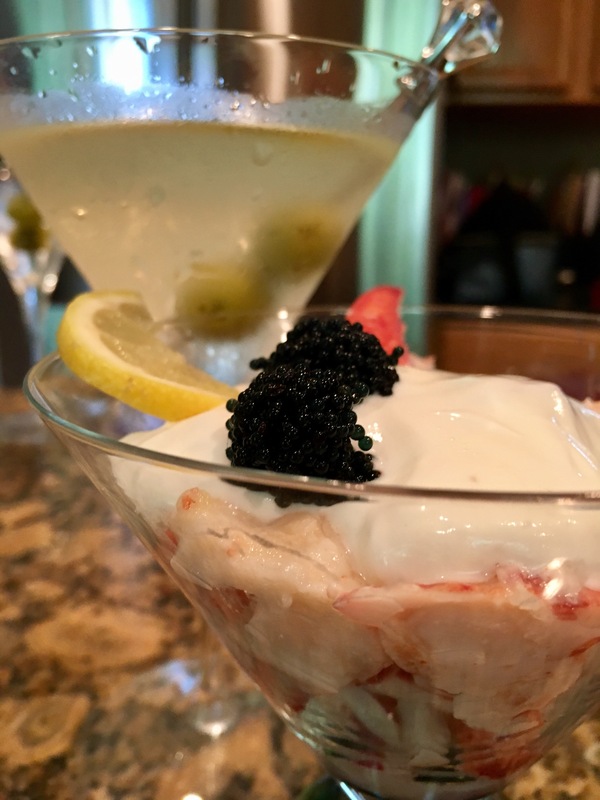 We began with a martini pairing – lobster martinis and Greg Goose martinis! What?? Yes, a food one and a drink one! Lobster-tini time. We picked clean a gorgeous 2-pounder with huge claws and a meaty tail. Mmmm. 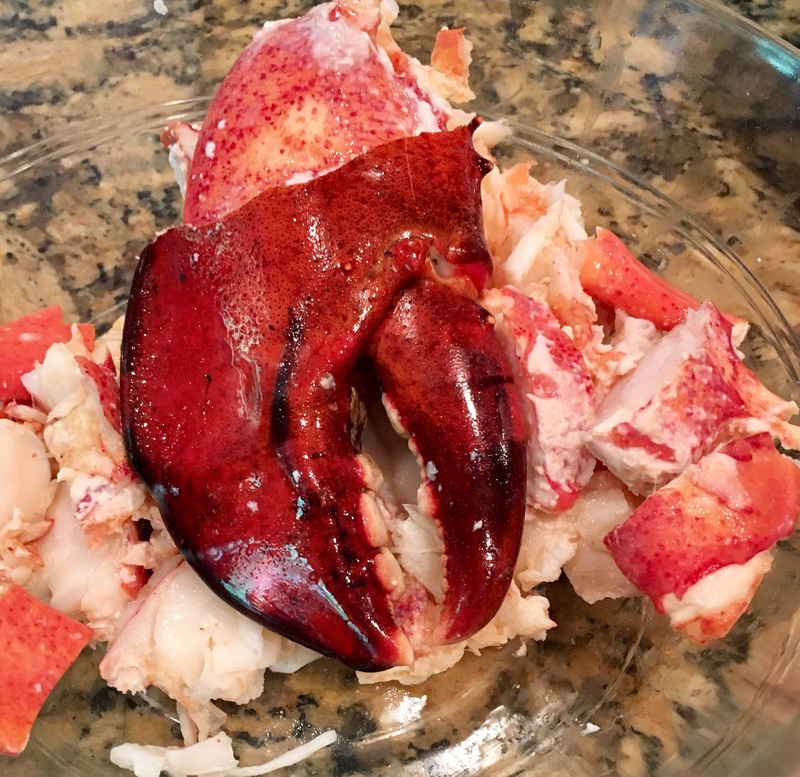 Giant mouthfuls of freshly steamed and then chilled lobster. We squeezed on some fresh lemon juice and tossed the meat around in it, then made a Truffle cream to top it with. 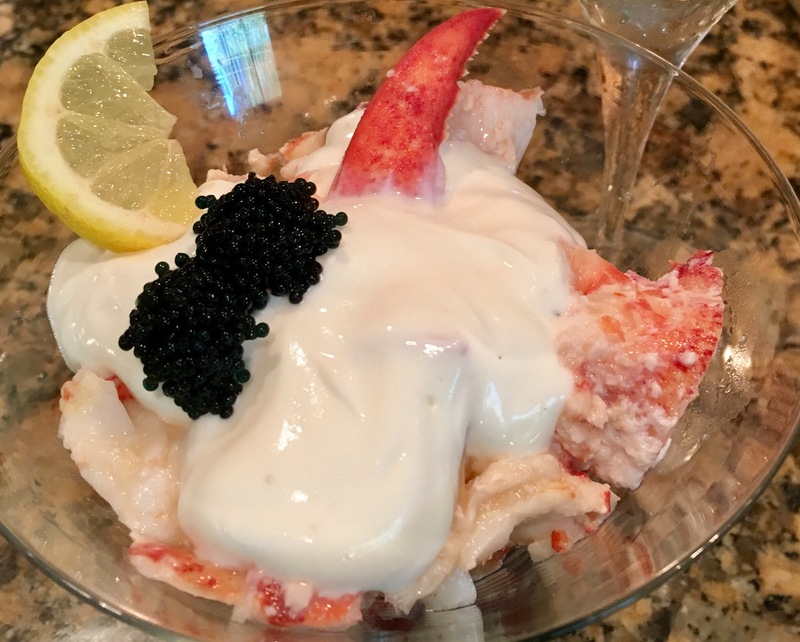 And a dollop of caviar to make it exquisite. It was quite decadent, to say the least. Add beside it one dirty martini with blue cheese stuffed olives and I’m in heaven. Wow, that was amazingly delicious. Our next course was a simple cheese and fruit spread. 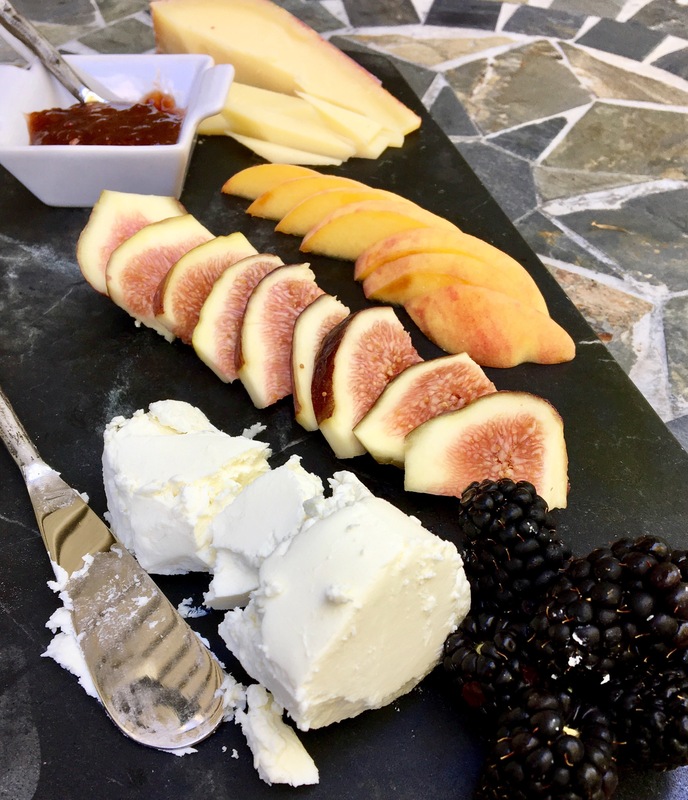 Two cheeses, Parrano and a goat cheese, with fresh figs, peaches, a champagne strawberry jam, and some lucious blackberries. Next course, raw fish two ways. First, a tuna pizza. 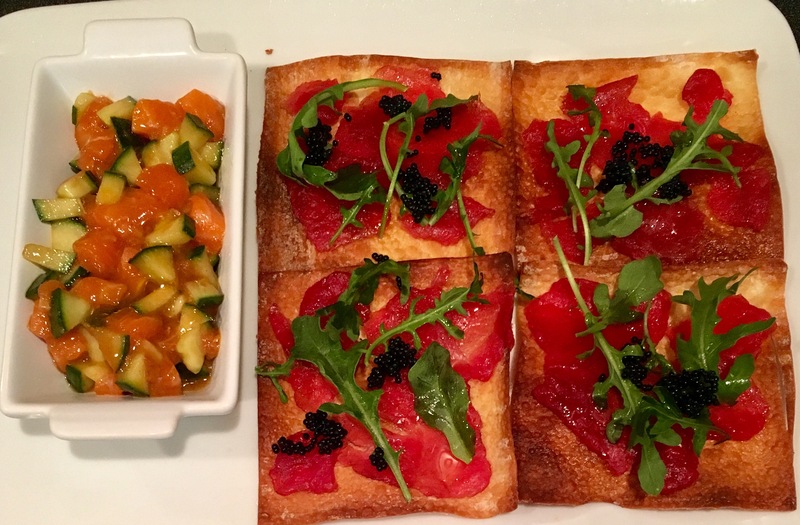 We got this idea from Yellowtail restaurant in Bellagio Las Vegas, generally, but we do it our own way. The raw tuna is pounded out really thin and we use wonton wrappers as the base. 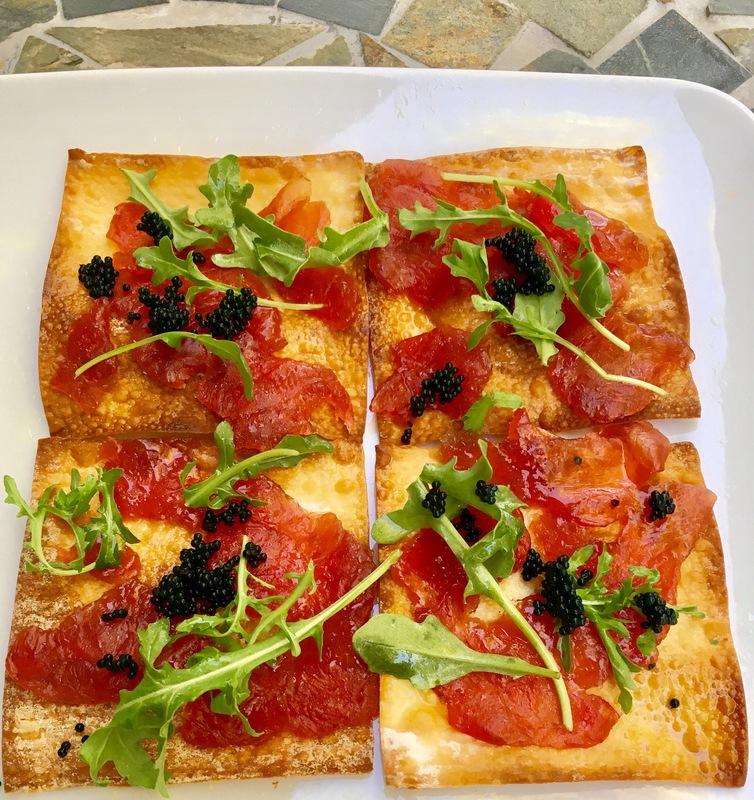 Then we top with a little arugula, Truffle oil, and yes more caviar. Second, a simple salmon tartare. 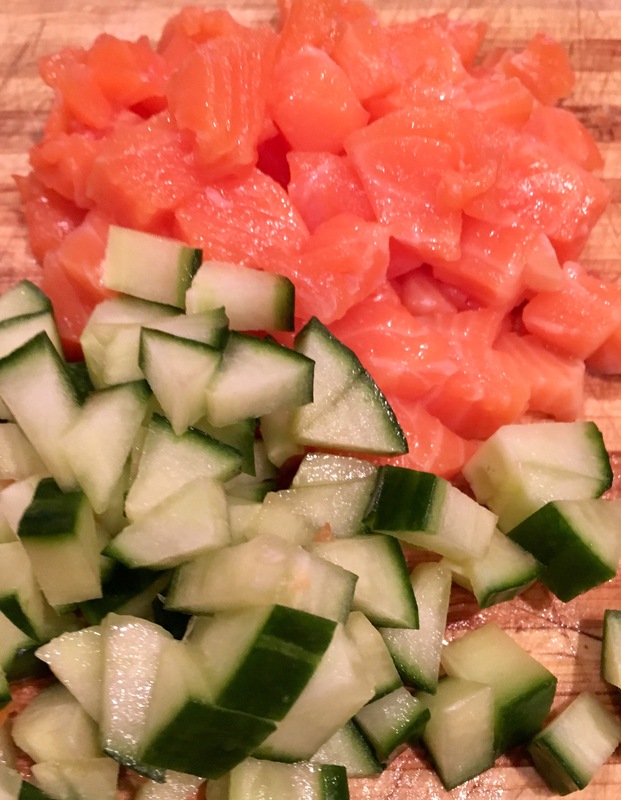 Just chop up the salmon into small chunks and do cucumbers the same. 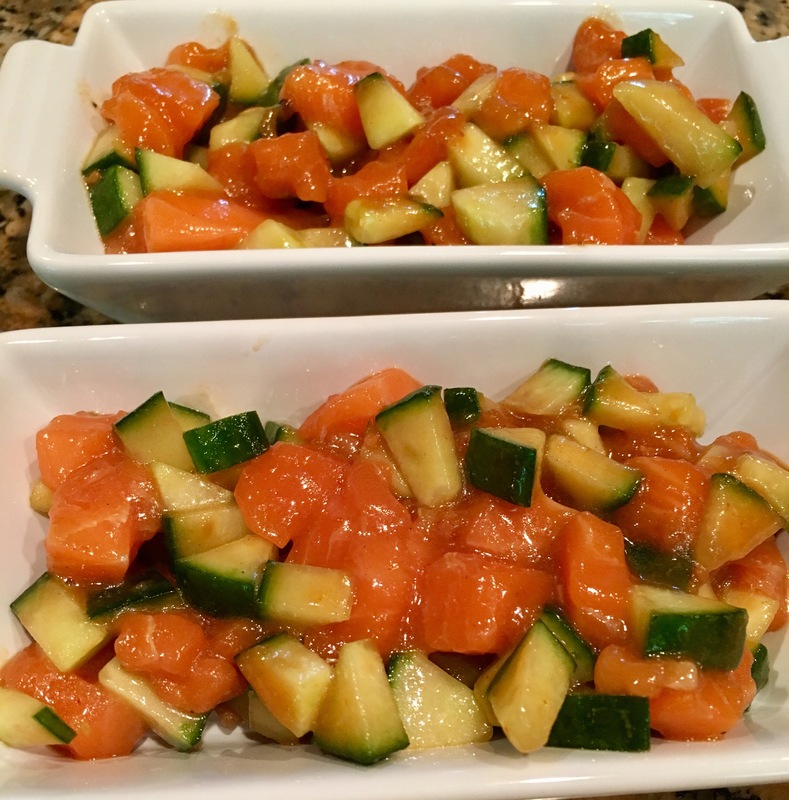 Tossed the cubes around in a sesame marinade, some wasabi, and a little blood orange olive oil. This was so delicately delicious. You can be pretty creative here, just don’t use stuff that will overpower the lightness of the raw fish. The side-by-side of raw fish two ways was scintillating. We used some more wanton chips to scoop the salmon tartare onto. 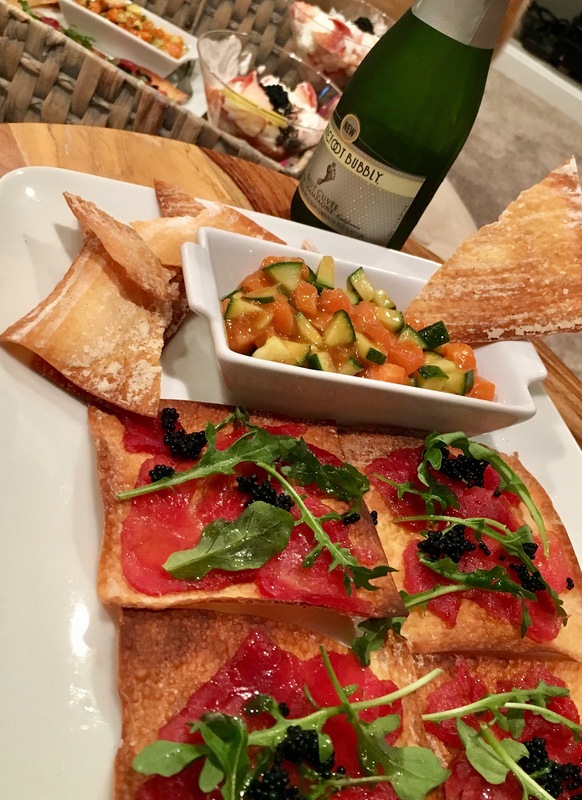 For this course, we paired with individual splits of champagne. So cute!! 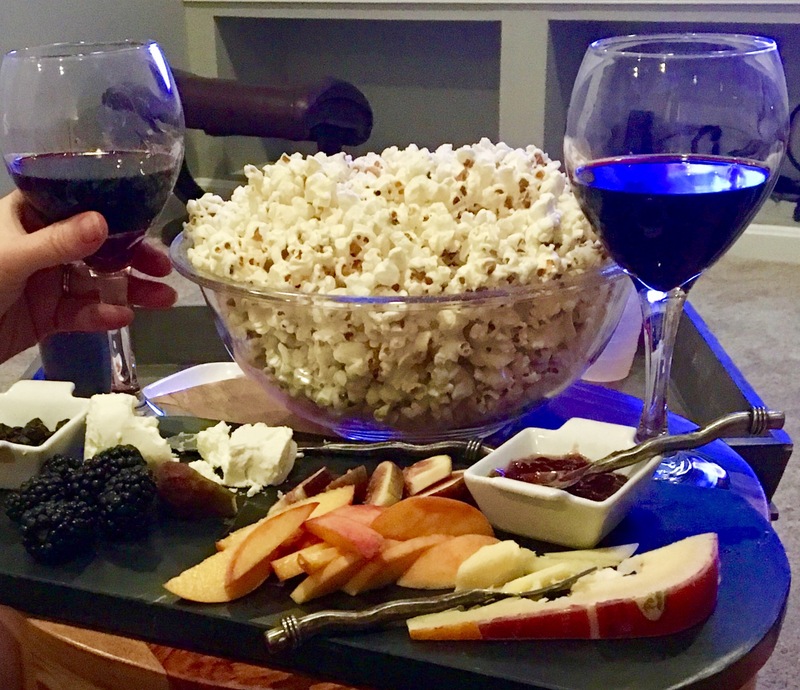 Then, as we hunkered down for some major chick flick watching, we finished off that cheese plate and made a huge bowl of Truffle popcorn. Pop the popcorn fresh on the stovetop, add Truffle salt and a little sugar and viola! For this, we opened a delicious Petit Verdot from Clos du Val, one of my faves. What an amazing night of food heaven, movies, and girl time!! Ahhhh….I’m exhausted! !